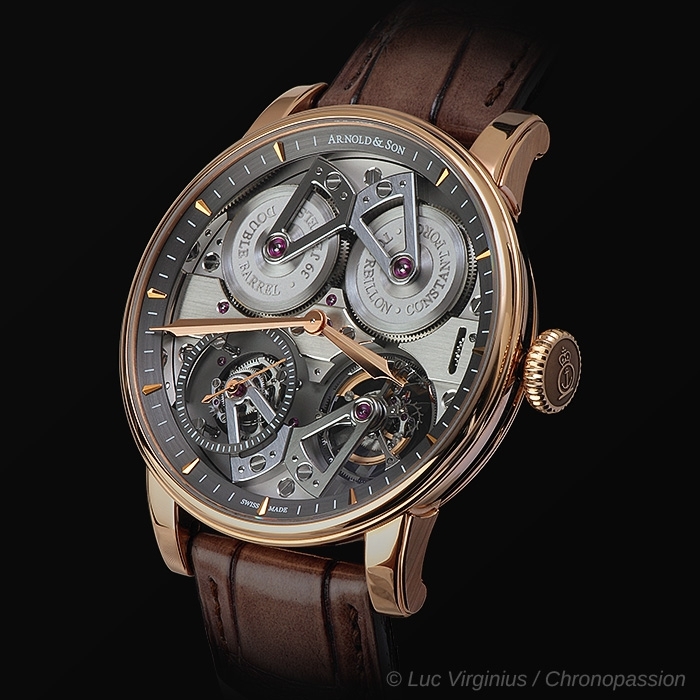 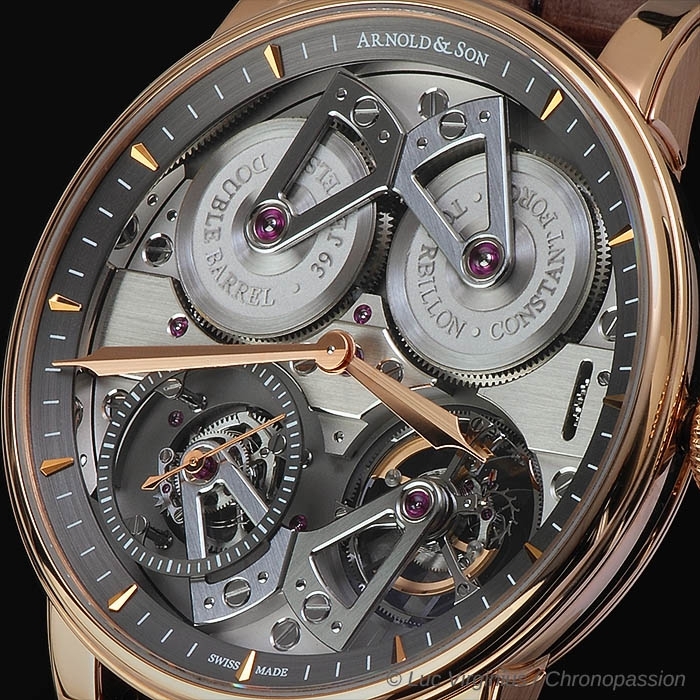 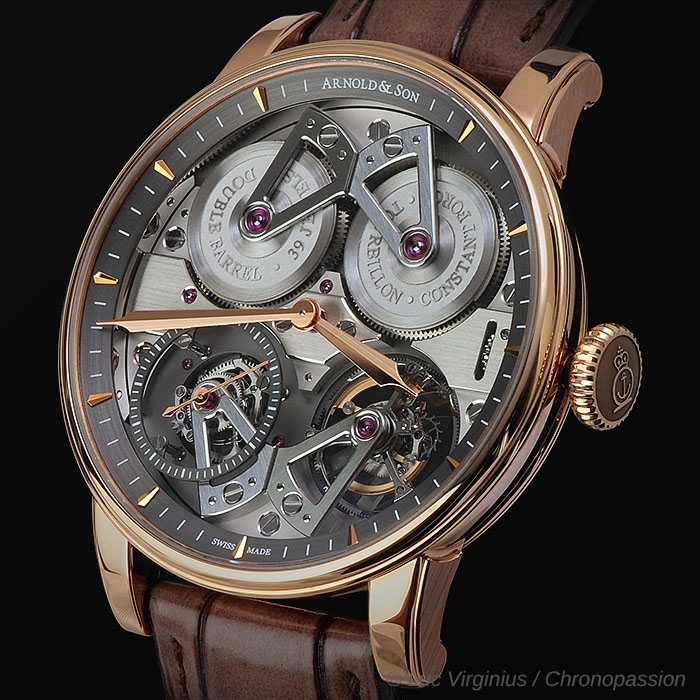 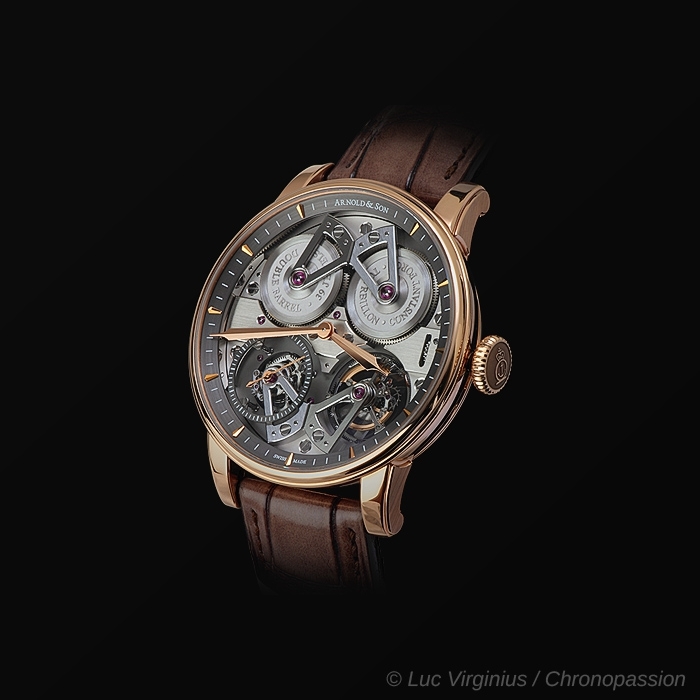 Arnold & Son | 190'800 € Tax inc.
Arnold & Son pushes precision chronometry ever further with the Constant Force Tourbillon, featuring a patented constant force device with 60-second tourbillon and true beat seconds. 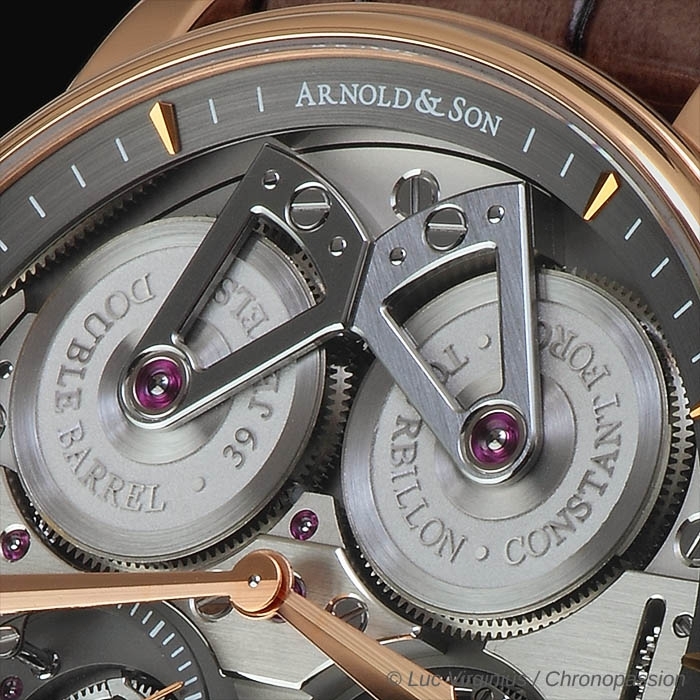 The symmetrical movement architecture of the Constant Force Tourbillon movement pays tribute to Arnold & Sons' historic marine chronometers. 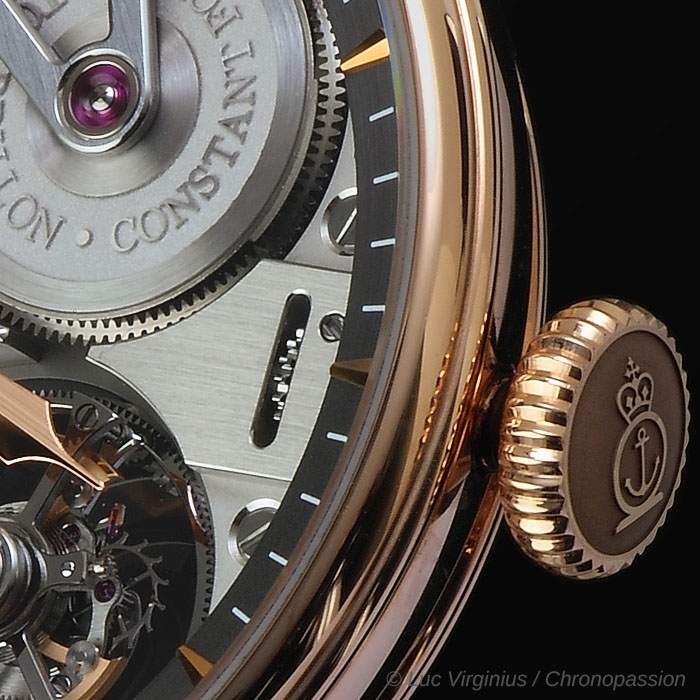 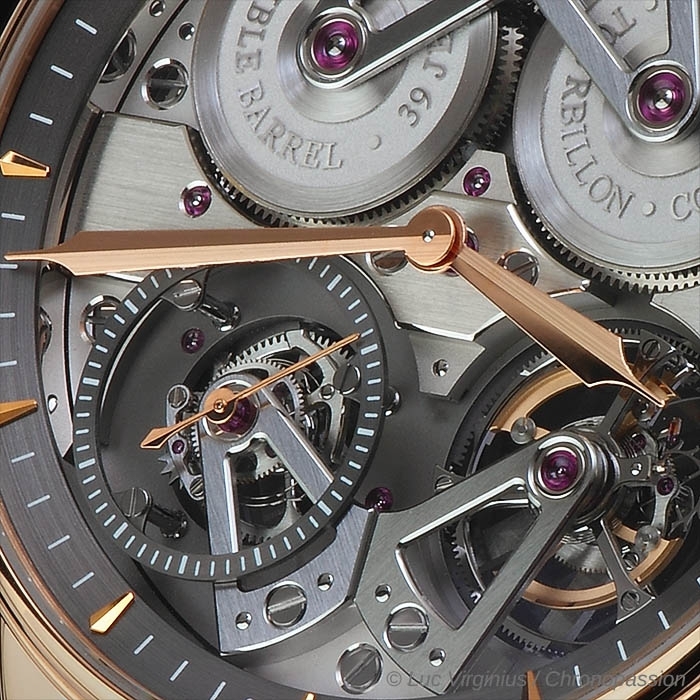 At the top, two visible mainspring barrels and the constant force device provide optimal power to the tourbillon at the bottom of the dial. 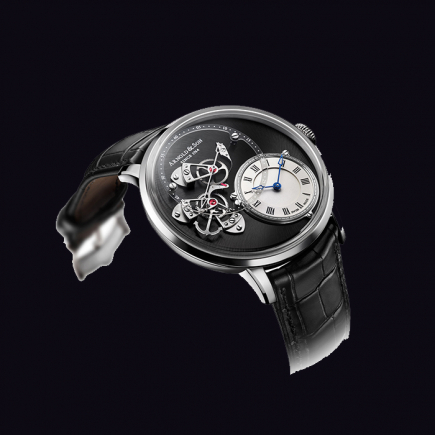 - Screws with bevelled and mirror-polished head. 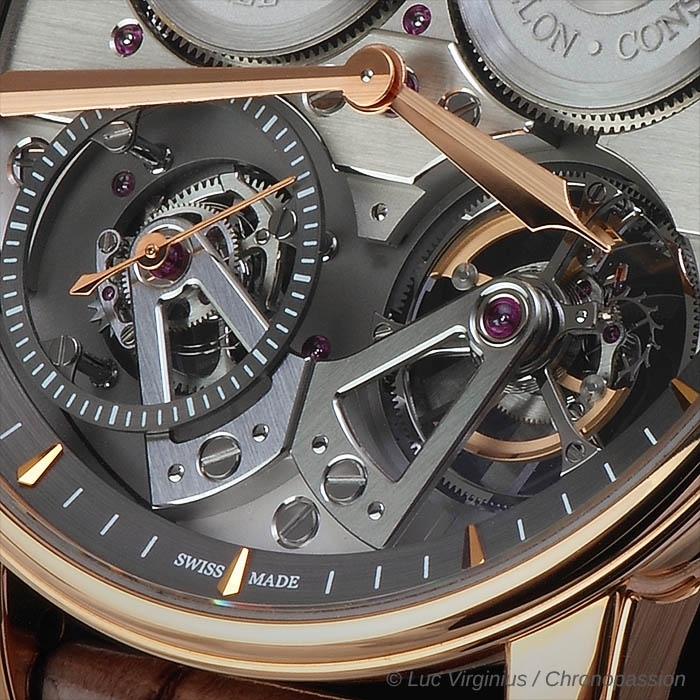 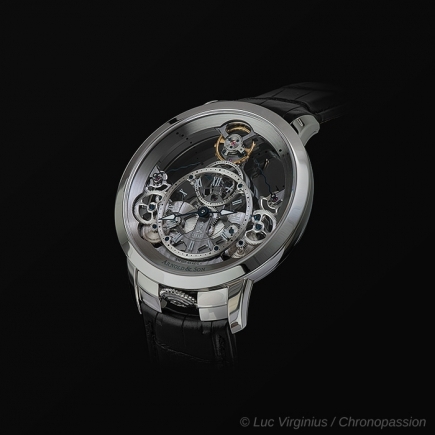 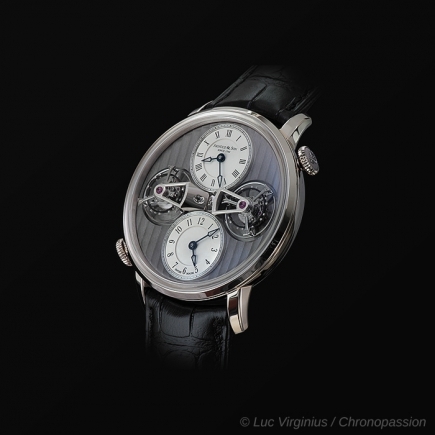 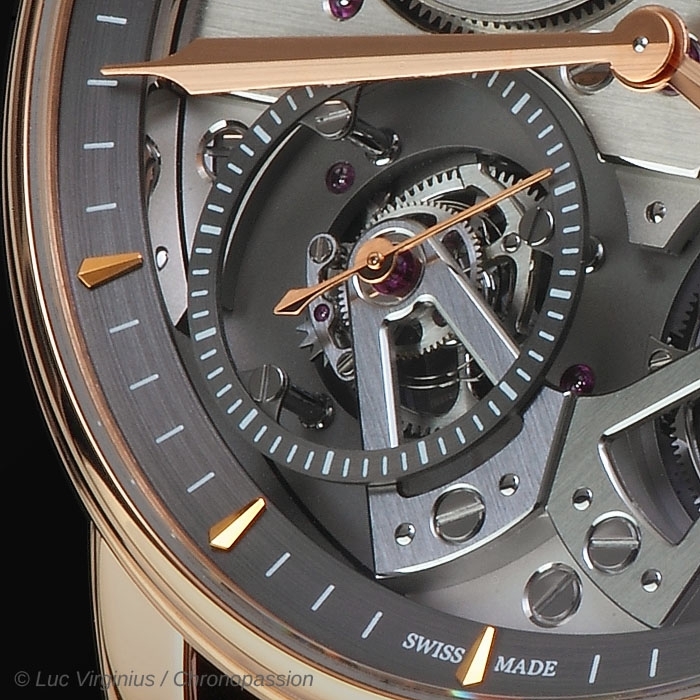 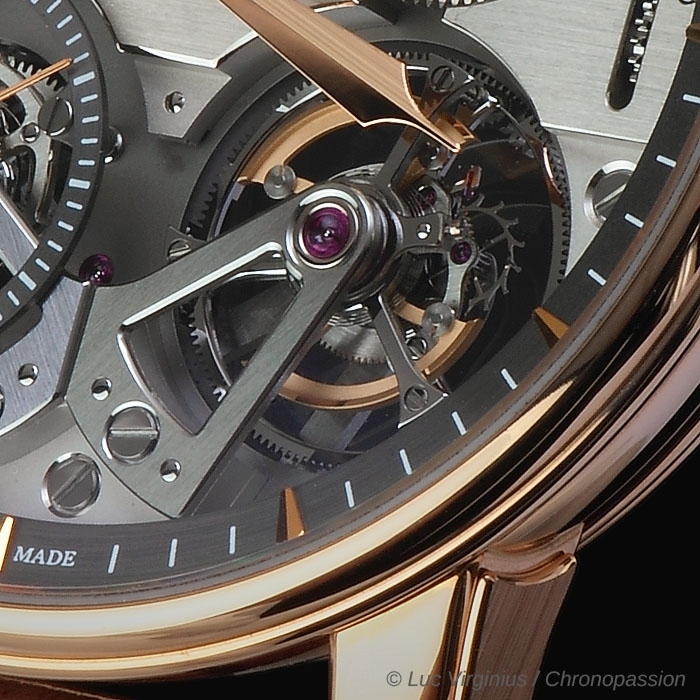 - Tourbillon cage: mirror-polished with hand-chamfered polished edges and circular satin-finished surfaces.